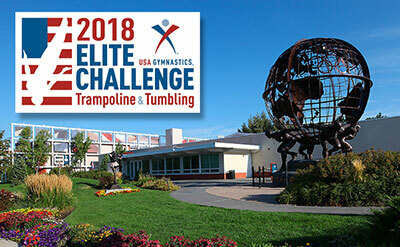 COLORADO SPRINGS, Colo., May 17, 2018 – Many of USA’s top trampoline gymnasts will compete this weekend at the 2018 Elite Challenge at the U.S. Olympic Training Center in Colorado Springs, Colo. The three-day event (May 18 -20) features competition in trampoline, tumbling, double mini-trampoline and synchronized trampoline for men’s and women’s senior, junior, youth elite, open elite and Level 10. The competition is a qualifier for the 2018 USA Gymnastics Championships in Greensboro N.C. Performances in Colorado Springs will also be part of the selection process for 2018 World Championships, 2018 World Age Group Championships, and the 2018-19 U.S. National Team. The competition schedule follows (times are MT). 1:45 - 9:30 p.m. - Prelims for trampoline (senior and Level 10), tumbling (senior, open, junior, youth elite and Level 10), double mini-trampoline (Level 10). 9 a.m. - 12:45 p.m. - Prelims for trampoline (junior and youth elite), tumbling (youth elite and open), double mini-trampoline (open, youth elite, Level 10). Based in Indianapolis, USA Gymnastics is the national governing body for gymnastics in the United States. Its mission is to encourage participation and the pursuit of excellence in the sport. Its disciplines include men's and women's artistic gymnastics, rhythmic gymnastics, trampoline and tumbling, acrobatic gymnastics and Gymnastics for All (formerly known as group gymnastics). 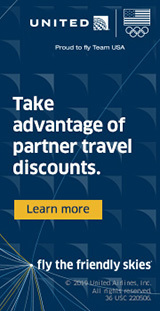 For more information, visit www.usagym.org.